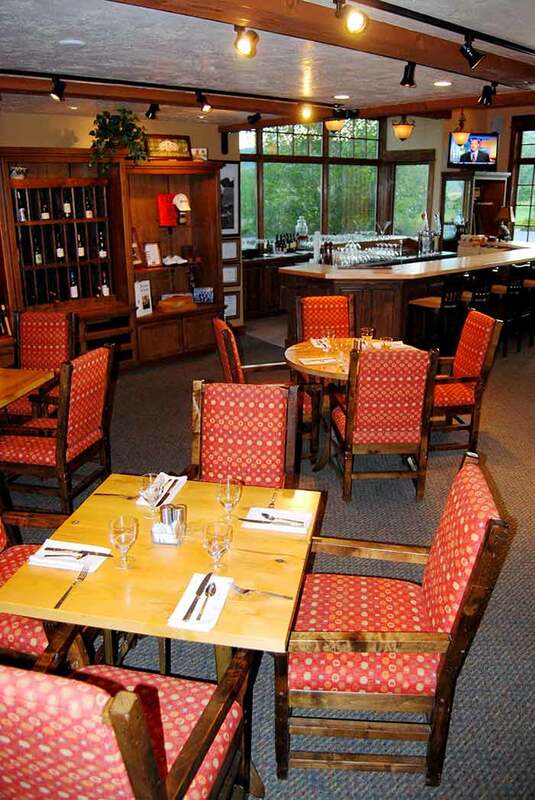 The Grille is the focal point of the Headwaters Golf Club complex at Teton Springs Resort. This restaurant, designed in unison with the western sensibility and charm of the Teton Springs Lodge, exudes western hospitality. It’s easily accessible to all overnight guests at Teton Springs Resort, as it sits just steps away from the Teton Springs Lodge & Spa, full-service Golf Shop, Fitness Center, The Sports Complex, and the Driving Range. The Grille is a short scenic walk or drive from the mountain log homes. One immediately feels welcome in this unassuming eatery, in any season. While seated at the bar, summer guests and local patrons alike, enjoy the Grille’s eclectic selection of wine and spirits while taking in the incredible views of the Big Hole Mountains and the manicured fairways. Guests also gravitate to the relaxed seating in the cozy Fireside Room. Patio seating, for a more expansive panoramic view and spectacular western sun sets, is popular during the warmer months and the snow-covered golf course provides a dramatic backdrop for diners during the winter season. 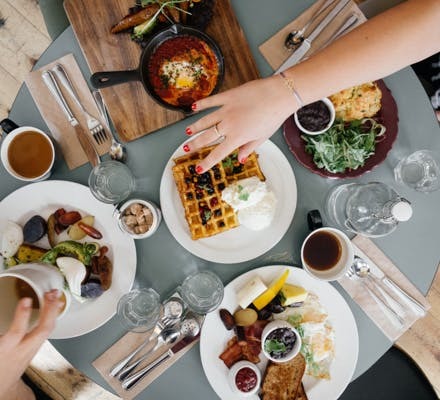 Family vacationers, groups and wedding parties are drawn to The Grille by the chef’s creative menu selections, attentive servers and informal atmosphere. Headwaters Grille provides a delicious break from a golf outing, brisk hike or mountain bike excursion. During their stay, guests of Teton Springs Lodge & Mountain Log Home rentals, enjoy a wide array of amenities available at the Headwaters Club complex, amenities normally afforded solely to club members. For a special fee, our lodging guests are welcome to book tee times on the private Headwaters Course and the Nelson Par 3, both courses designed by famed & beloved professional golfer Byron Nelson. The Headwaters 18-hole course has been touted as one of the best golf experiences in all of Idaho; a game on these links should be at the top of any players itinerary. Any post golf kinks can be worked out in the 2000 square foot fitness center, another amenity for lodge guests, or better yet, a deep tissue massage at the Spa! During their stay, guests of the lodge/mountain log homes also have access to the 25-meter heated pool, complete with poolside food & beverage, provided by the Headwaters Grille. Sunning decks, hot tubs and the immensely popular “Geyserland” for kids guarantees a fun day for the entire family. The Grille is open for Breakfast, Lunch, Après Golf Specials & Dinner. The Grille is also available for special events; holiday parties and private catering. For reservations call 208-787-8130 or contact Grille staff at catering@tetonsprings.com for details.